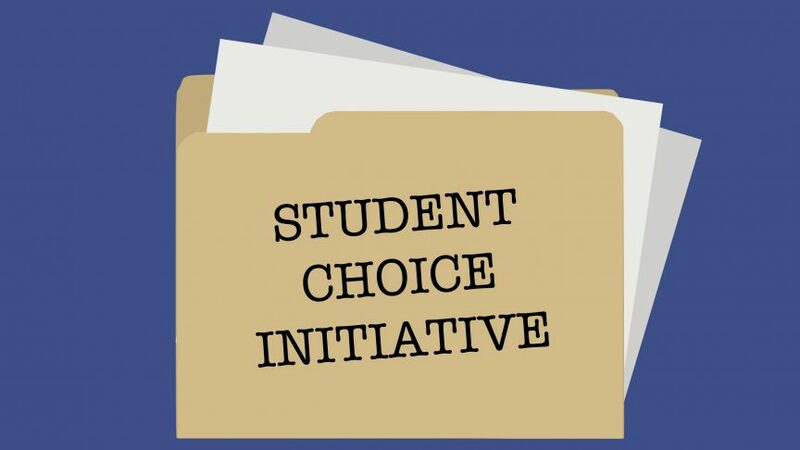 WTF is the Student Choice Initiative anyway? After a year of Ryerson Students’ Union (RSU) scandals and a history of sketchy finances, change is finally coming to the union—but it isn’t necessarily the good kind. The Ontario government’s Student Choice Initiative (SCI) gives students the option to opt-out of certain fees that were previously a mandatory part of their tuition. After it was initially announced on Jan. 17 by the minister of training, colleges and universities, Merrilee Fullerton, the guidelines for the SCI were released on March 29. Last year, Ryerson University students paid $848.56 in ancillary fees, funding services such as the RSU, the Student Campus Centre, the Mattamy Athletic Centre and the Sexual Assault Survivor Support Line. In the upcoming year, students will pay several compulsory fees, including athletics and recreation, career services, student buildings, health and counselling, academic support, student ID cards, student achievement and records, financial aid offices, campus safety programs and transit passes that were established prior to Jan. 17, 2019. Health and dental plans are also essential unless students can provide proof of pre-existing coverage. Anything that does not fall under these categories will be optional. This means that the RU-Pass will not be a mandatory fee for students. Students must be given the choice to opt out of paying the fee online for any service not listed as a compulsory cost. Institutions must also individualize the fees which means a “student activity fee” encompassing the cost for multiple services is not permitted. Ryerson president Mohamed Lachemi told The Eye that he will give an update on an online portal where students will opt out once the guidelines are finalized. Student-governing bodies will have a say in terms of creating new, or changing current compulsory ancillary fees with an ancillary fee protocol—a formal signed agreement between the student governing body representatives and the institution’s administration. The student governing body representatives serve on behalf of the majority of students paying compulsory ancillary fees. A university’s administration and student governing body must agree to the ancillary fee protocol for it to come into effect. It also must have the approval of the institution’s governing body. Fees established through a student or university administration-funded referenda are exempted from ancillary protocol. They will be listed as optional fees. However, student groups have raised concerns about losing a significant portion of their funding if students choose to opt-out of these costs, causing them to shut down their operations. Because of this, making the students’ union levy optional puts more than the RSU at risk. The Student Campus Centre hosts over 225 student services that could be affected by the Student Choice Initiative. Student groups affiliated with faculties across campus will also be impacted.